WHO WE ARE AT SUPERIOR TIRE AND AUTO INC.
All of us here at Superior Tire & Auto would like to thank all of our great customers, as well as welcome in all new customers. We are a complete car care & light truck repair facility. Specializing, in all minor & major (auto & light truck repair), as well as new and used tire sales. 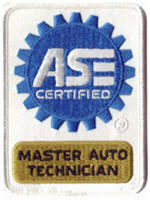 We are a full service Auto Repair & Tire sales shop, offering highly competitive service & tire pricing performed by ASE Certified Master Technicians. We make sure the our customers know what the problem is through our rigorous diagnosis and fix these issues.